This entry was posted in Medical information and Research Data, Pregnancy and birth, RESEARCH, STUDIES, DOCUMENTATION, Vaccine Injection Room and tagged Flu shot on November 3, 2018 by Editor. Nurse Blows Up Flu Shot Hoax! Send Viral! from Truth Warriors on Vimeo. This entry was posted in Personal Stories Vaccine Injuries, Pregnancy and birth, Vaccine Injection Room and tagged Flu shot, nurse on October 30, 2018 by Editor. This entry was posted in Government experimentation on the public, Pregnancy and birth, Vaccine Injection Room and tagged Flu shot on April 7, 2018 by Editor. This entry was posted in NEWS and tagged CDC FLU SHOTS, Flu shot, PREGNANT FLU on November 23, 2017 by Editor. 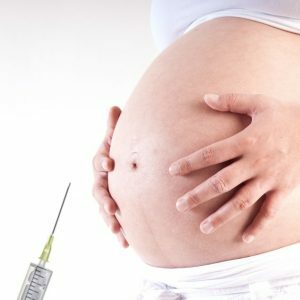 This entry was posted in Liberty & Freedom Room, Pregnancy and birth, Vaccine Injection Room and tagged Flu shot, Healthcare workers, HOSPITALS on January 2, 2017 by Editor. 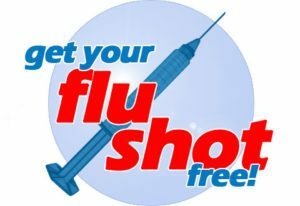 Numerous peer-reviewed scientific studies have shown that the flu vaccine is not effective either at reducing the flu or reducing flu-related deaths. This entry was posted in Pregnancy and birth, Vaccine Injection Room and tagged Flu shot, RFK on December 28, 2016 by Editor. (Meryl Nass MD. )Medicare is used as a cudgel (while the federal government hides behind the “quality improvement” skirts of organizations it created) to forcibly impose some cherry-picked quality measures on medical institutions, by threatening to lower reimbursement rates to institutions that do not comply with the few “quality improvement” measures Medicare selected from the large palette of measures suggested by these intermediary organizations. This entry was posted in Articles & Breaking News, Liberty & Freedom Room, Vaccine Injection Room and tagged Flu shot, Hospital, Meryl Nass on December 22, 2016 by Editor. 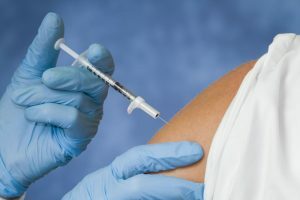 According to the U.S. Special Claims court’s statistical annual report released just this week, the number of vaccine injury cases filed against the flu shot increased again — this time by 55%, from 448 cases filed in 2015 to 694 filed in 2016. This entry was posted in Eugenocide/Population Control, Government experimentation on the public, Pregnancy and birth, Vaccine Injection Room and tagged Flu shot, NVIC, vaccine injury on December 6, 2016 by Editor. Does the evidence support the call for universal influenza vaccination? This entry was posted in Medical information and Research Data, Pregnancy and birth, RESEARCH, STUDIES, DOCUMENTATION, Vaccine Injection Room and tagged cochrane, Flu shot on January 2, 2016 by Editor.